Currently on holiday in CT7, this time in the Porto region. 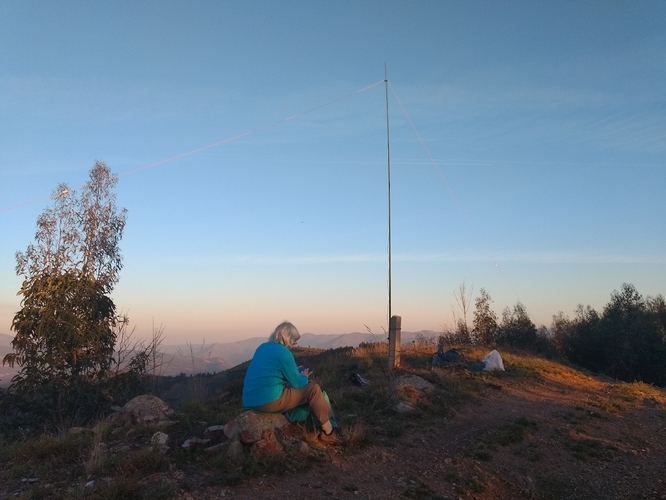 Tomorrow is the last day of the winter bonus here and I am hoping to activate three summits on the 20m band. I am with my XYL so I do not expect to spend long on each summit. CT/BL-004 Nil on 20m but you give me a big surprise just before you go ! Thanks for the activations Philip. Pleasure working you from this side of the pond. WX so good XYL enjoys, so will now go BA-017 now. 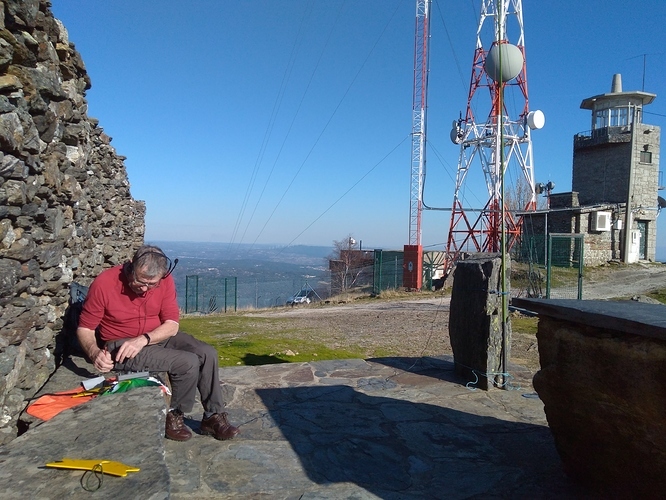 QRV in abt 1-1 5 hours time before the dinner in Arouca. Same 20-30m routine will do 40m if need to. 30 mins op time only. NOTE SUMMIT WILL BE BL-017 NOT BA! 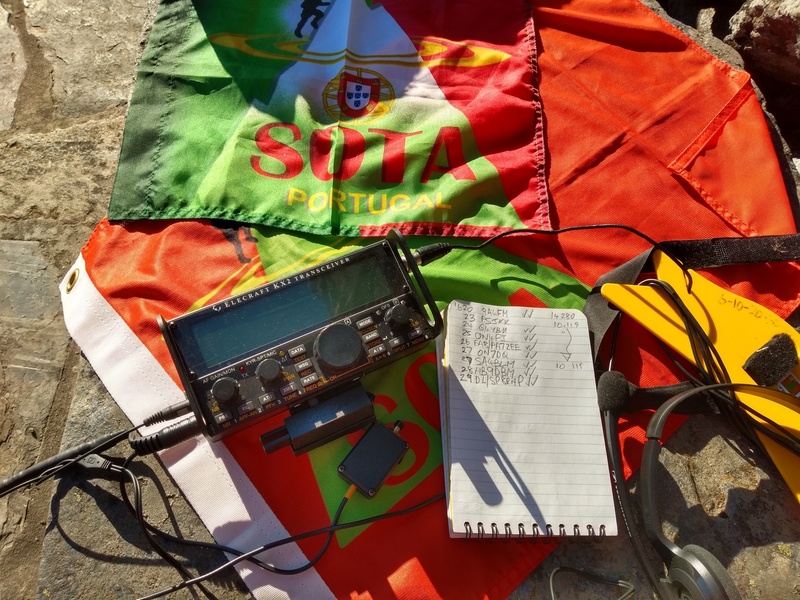 QRV ABT 1815Z. See pic @yorkswalker on twitter. It’s going to snow here tomorrow. I really need to be somewhere warm and sunny. Today was cold and sunny and wet and then colder and then sunny again. And windy. Rubbish in fact. Yesss Phil, you have my first beer for your diner ! Great day, it is SOTA Heaven here Eric. Glad 30m worked for many, including one USA stn KD1CT. G4YBU was consistent and nice copy, loud on all QSOs. It was baking hot on 3rd summit sat against stone wall, sweating. Felt like 30c. Sorry about that Andy! 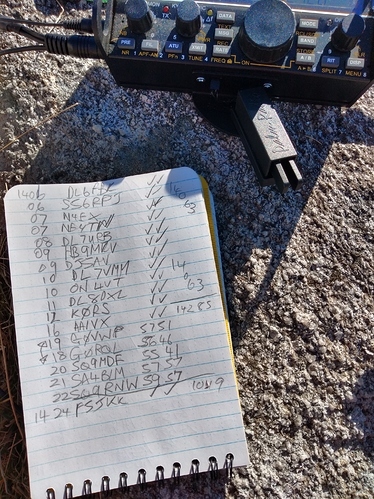 111 SOTA QSOs in the day with the link dipole and KX2. Nothing planned SOTA wise for tomorrow. Several stns wkd on all 4 summits, including Terry G0VWP. Well glad you had a good day and WX was fine for you, not here very windy all all day and nice to have worked you on all four. This is as good as it gets receiving winter bonus points… Sweating it out on CT/BA-003 this afternoon. Hi Phil - sorry to be the bearer of bad news - Today is the 16th of March. the Winter bonus on that summit finished yesterday (15th March). I’m sure you are enjoying the holiday in any case. I have tried to listen for you a couple of times over the last few days but you have often moved on to CW before I could get you on sideband. That is now no longer relevant in any case as the last two nights of storms here have totalled my main 40m loop antenna. Well to be honest, the storms only broke the wire in one place and it was me trying to repair it that broke it in a further two places New wire ordered - so I’ll be effectively off the air for a week until that arrives and I rebuild the antenna. The 4 summits were visited yesterday, 15th March and the three 8 point ones are all over 1000m and qualify for the winter bonus - sorry we couldn’t work and the storm took out your aerial. 112 CT7 QSOs logged into the database this morning, with lots of USA stations worked. Hopefully I will activate two easy summits in the adjacent CT/MN area tomorrow afternoon as part of my cultural tour of the region. Morning morning I hope I can manage to reach a summit local to Porto before my breakfast, but the city traffic may be a problem. Car parking charges are sky high here in the city, and you just have no choice. The answer is to go out in the car activating every day, however I cannot get away with that! Ah sorry, I hadn’t seen your post was from 20 hours ago - I thought it was from today. So you managed to squeeze in the activations, just in time then. It certainly looks like wonderful weather with those blue skies! Good luck with the rest of your activations and your holiday - we’ll no doubt have contacts the next time I get out to a summit - hopefully next week. The portable kit is fine, just no effective home-QTH antenna at the moment. Can you bring the CT WX back please Phil. +1C this morning, 3cms snow, now melted and about 2cm more rain. Horrible! But we have always place for everybody here. So, come on! Sorry for the bad WX over there. Fingers cross! My employers have an office in Porto, I just need to find a reason to visit and I can get most of the cost of a SOTA vacation paid by them!